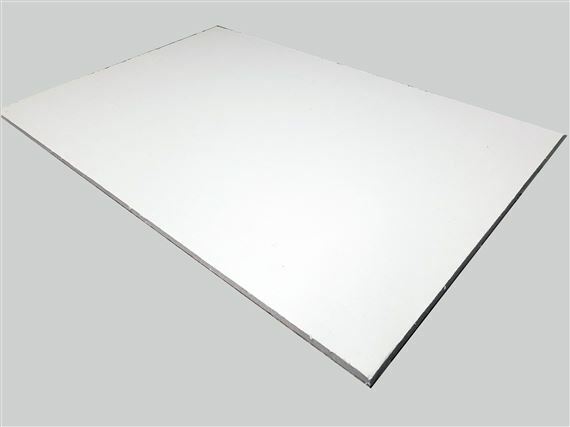 Maxfire HP Grade Insulation Board in sheets size: 24 x 36 x 1/2". For use with silicon strip heaters. Maxfire Boards are rigid self-supporting fiber insulation boards manufactured from a slurry consisting of ceramic fibers and either organic or inorganic (smoke-free) binders. Maxfire boards exhibit low thermal conductivity, high strength and thermal stability at elevated temperatures, and they have the capability to withstand chemical attack. Exceptions include hydrofluoric acid, phosphoric acid, and strong alkalies. A small amount of combustible binder will burn out at approximately 300ºF in grades with organic binder. Additional hardness and strength can be achieved with post treatments.